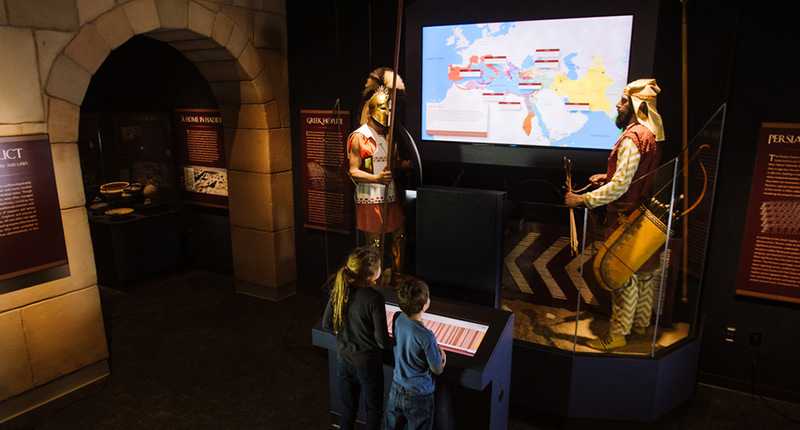 Covering 4,000 years of history, this unique exhibit allows users to scroll through more than 75 detailed maps showing the rise and fall of some of the world’s greatest empires. Painstakingly researched and designed, these ultra high-resolution maps show the major conflicts, migrations, expansions, and contractions of the great empires of Mesopotamia, Persia, Greece, Egypt, Rome, and others. 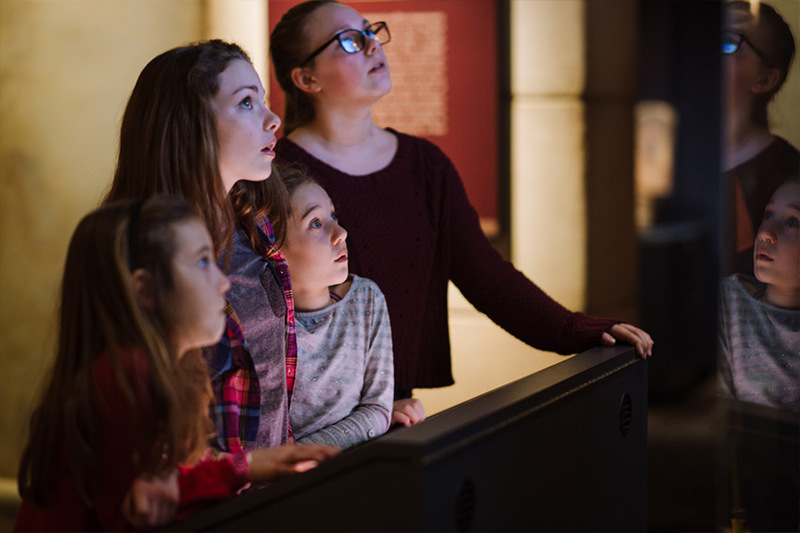 Ideum developed the software and designed and laid out the map based on research conducted by Akhmim Mummy Studies Consortium and Milwaukee Public Museum. The maps are presented in 4K format on a 65” UHD screen, placed between two life-sized warriors, one Greek, the other Persian. 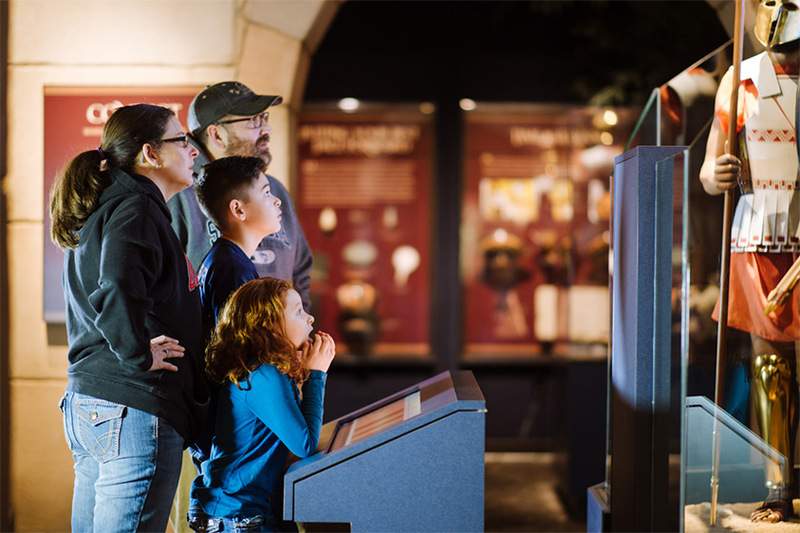 Visitors can watch history unfold on the ultra high-resolution screen; as maps automatically cycle through, they can watch major events and see empires expand and ultimately collapse. 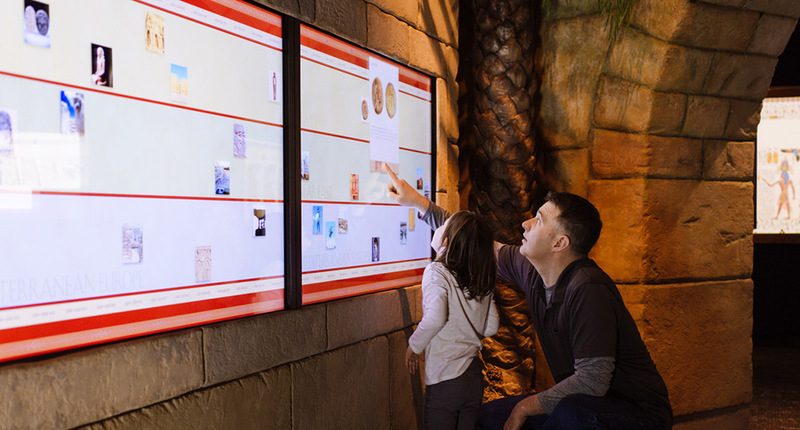 Additionally, visitors can “scrub” to specific maps via an interactive timeline presented on a stretch touch monitor. The stretch monitor provides visitors with a way to jump to areas of interest or to pause and discuss details on the map. Along with the software development, Ideum designed and built the specialized, ultra-wide touch monitor. (These same monitors have also been used as digital reading rails at the Field Museum in nearby Chicago). This exhibit is part of the Crossroads of Civilization exhibition at Milwaukee um. 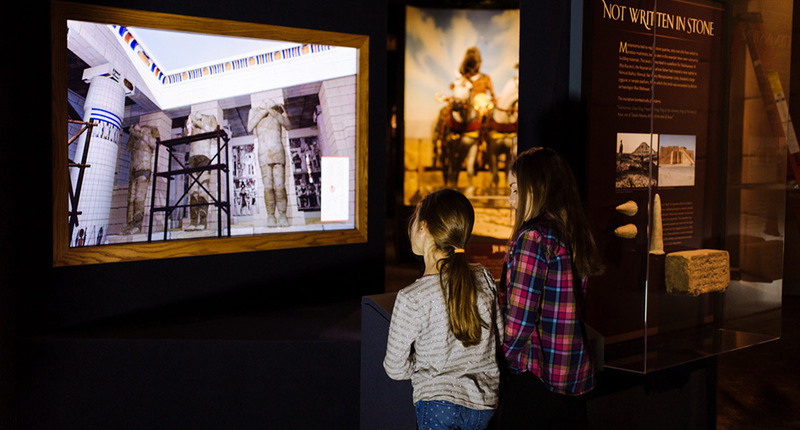 Ideum developed this exhibit along with three other interactive experiences (a timeline of the ancient world, a life-sized mummy CAT scan, and an ultra high-resolution 3D model of the Medinet Habu Temple) in collaboration with Milwaukee Public Museum. The exhibit opened on the Ides of March 2015. Visitors use interactive timeline to explore selected eras. 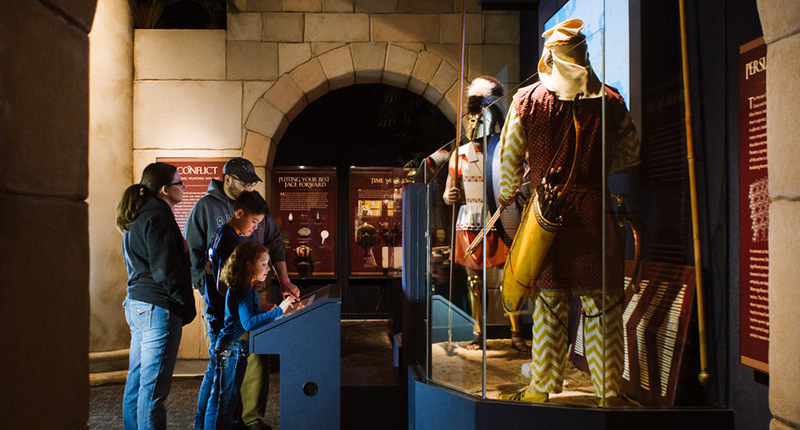 Dynamic maps immerse visitors in drama of ancient world.